Come in from the cold and warm up your dancing shoes at the Country Dancers of Rochester’s Thanksgiving Contradance Festival. Saturday and Sunday, November 23rd and 24th, you can join in the fun at CDR’s 35th annual dance weekend, which will feature Contra, English Country Dance, waltz, square dancing, and more, at Salem United Church of Christ at 60 Bittner Street. For those in the know, Sarah VanNorstrand and Adina Gordon will be calling, and Groovemongers and Cloud Ten will be playing. 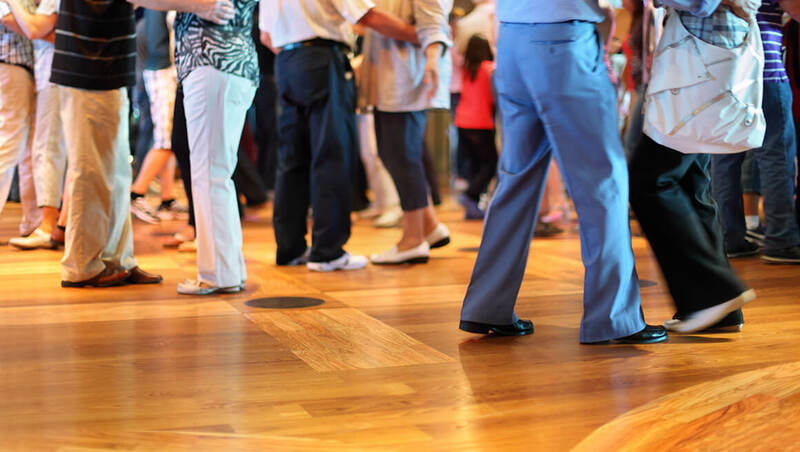 Contra dance is a type of folk dance composed of long lines of couples. It has mixed origins from English, Scottish, and French dance styles in the 17th century, but today it’s sometimes called New England folk dance or Appalachian folk dance. Contra dances can be found worldwide but are most common in the U.S. and Canada. The Country Dancers of Rochester is a not-for-profit educational organization “dedicated to the preservation, study, teaching, enjoyment and continuing evolution of English and American traditional and historical dance and dance music.” CDR sponsors social dances twice weekly in the Rochester area. The Contradance Festival is for folks who are eager to learn and make new friends. Contra is a form of social dance where the dancers are friendly and accepting, the callers are happy to teach, and the footwork is anything but fancy. According to CDR, “If you can walk, you can dance.” Nearly all contra dances are danced to live music. Though you have a partner for each dance, you’ll also get acquainted with your neighbors because, in Contra, you’re dancing with everyone in the room. Most importantly, Contra dancers interact respectfully with everyone. You can’t leave a contra dance without having your spirits lifted. At Contra, beginners are always welcome. There’s no need for special attire; you can just dress comfortably and wear soft-soled, low-heeled shoes. You don’t have to bring your own partner, either. Bring an acquaintance or come on your own. You’re sure to make new friends!